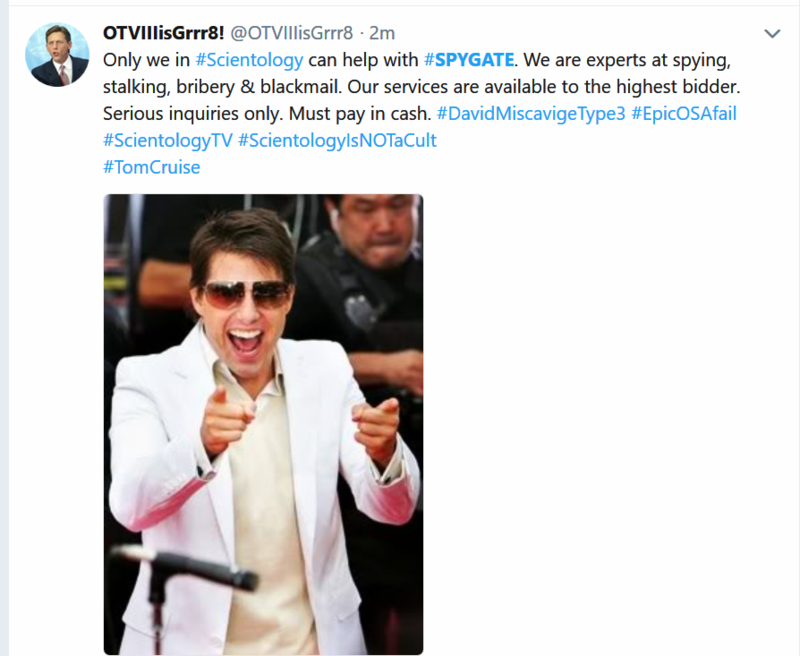 The criminal cult of Scientology has been spying on people for decades, framing and harassing people. Pay us (cash only, contact COB to schedule a handover) and we will spy on your enemies and do lowlife dirty tricks just like those we do on ex-members, dissenters, and critics! Scientology: the lowest, vilest, dirtiest organization on earth! Spying seems such a harsh word. I would know, I cleared it up using Method 1, 4, 7 and 9 Word Clearing. I think these religious practices should be labeled as something like ‘looking gently over your shoulder conscience monitor’ so Wogs aren’t put off by these sacred activities. Besides, I know that so called spying, is only conducted by the lowest level OSA members who have gotten no where on The Bridge to Total Freedom. These No Case Gain, Dog PCs types are relegated to old school intel gathering methods and net nanny duties because they are not Operating Thetans. Any OT worth their salt need only postulate and perceive to know anything about anyone at anytime. The MEST universe is no obstacle for them. This is why we are winning and SPs are losing. SPs are going to rue the day that they started committing overts against the world’s coolest religion. I’m pretty darn sure of that!!!!!!! !